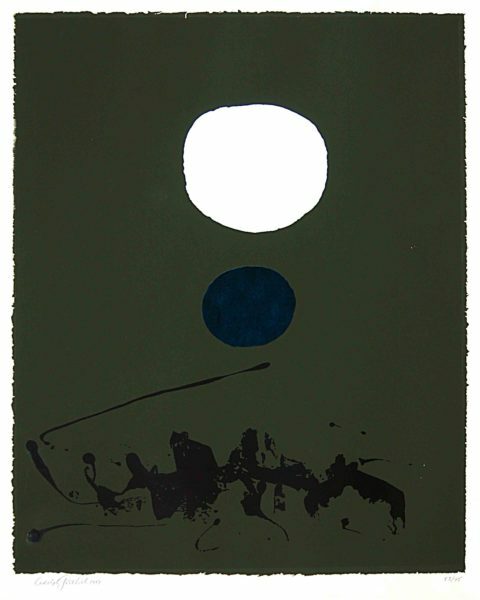 Adam Gottlieb, Green Dream, 1969, serigraph on paper, 24.13 x 19.13 inches. Gift of Ladene & Russell Newton, 2003.18.07.64. Students explore the exciting process of printmaking and mixed media. Students experiment with stenciling, monoprinting, relief printing and other surface techniques to create one-of-a-kind artworks.